Affected by Wednesday’s recalls are more than 8,000 model year 2013 Mitsubishi Outlander Sport vehicles, which may suffer from brake light, fuel gauge and shifting problems. The first of the two recalls concerns Outlander Sport SUVs that may be equipped with brake lamps that either work intermittently or continuously illuminate without pressing the brake pedal. Furthermore, the same vehicles may also shift out of park without employing the brake pedal, according to the National Highway Traffic Safety Administration. The recall affects 4,539 vehicles manufactured from June 11, 2012 through September 11, 2012. Improper brake light illumination could increase the risk of a crash because other vehicle may not know the vehicle is stopping. Additionally, the shift lever problem could result in vehicle roll away and personal injury. Mitsubishi’s second recall affects 3,724 Outlander Sport AWD vehicles built without a fuel sending unit harness, which may result in a false fuel tank level reading. Consequently, the vehicle’s operator may believe they have fuel when the tank is in fact empty. This could lead to engine stall while driving, thus increasing the likelihood of a crash. The recall impacts models built from June 11, 2012 through December 11, 2012. Despite the total recall amount, Mitsubishi reports that only 14 of the 3,724 vehicles recalled are believed to possess the defect. Mitsubishi has not provided a notification schedule for either recall, but did state that all affected vehicles will be repaired at no cost to the owner. In the meantime, owners may contact Mitsubishi at 1-888-648-7820. Concerned drivers may also contact the National Highway Traffic Safety Administration’s Vehicle Safety Hotline at 1-888-327-4236 or visit www.safercar.gov. 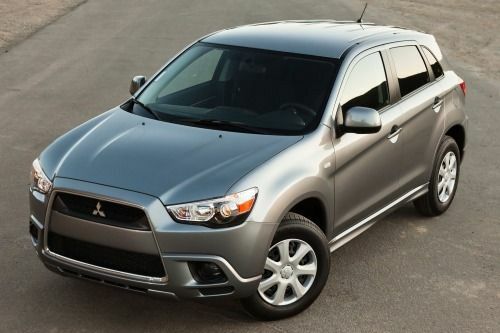 Mitsubishi’s campaign numbers for the recalls are SR-13-004 and SR-13-005. The Japanese automaker has issued one other recall this year that involved about 14,700 Mitsubishi i-MiEV electric vehicles worldwide. The February recall affected 1,400 vehicles in the US, nearly 3,400 in Japan and almost 9,000 in Europe. The vehicles in question may suffer from sudden brake failure due to a faulty brake system vacuum pump. Introduced in North America in 2003, the Mitsubishi Outlander is crossover vehicle that features sport utility vehicle qualities like a high ground clearance and four-wheel drive, as well as car-like levels of emissions and economy. Now in its third generation, the current Outlander lineup includes a plug-in hybrid version called P-HEV, which is based on the same electrical system used on the Mitsubishi i-MiEV. The Outlander Sport made its debut in 2011.